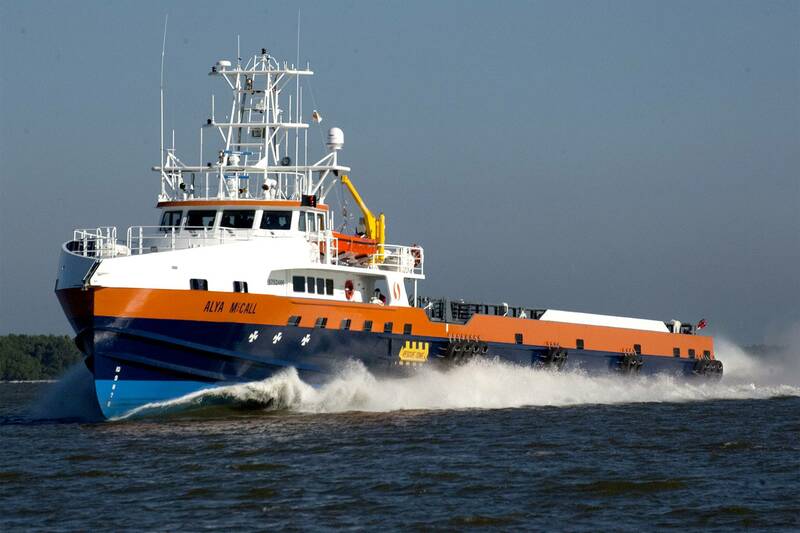 Fast Supply Vessels (FSV) are tasked with delivering cargo and crew to oil and gas platforms, and other offshore operations with speeds unheard of in a crew boat 20 years ago. SEACOR Marine's newest FSV, the Alya McCall, relies on five high-performance Twin Disc MGX-61500SC QuickShift transmissions to provide the links between the ship's Cummins engines and Hamilton Waterjets. The first in a new class of FSV from SEACOR Marine—Express Plus—the 206' x 32' US-flagged Alya McCall will accommodate 16 crew, 100 passengers and 300 LT of deck cargo. 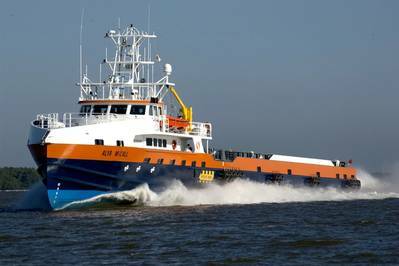 The aluminum FiFi-I class vessel has dual FFS pumps and remote-controlled monitors. Her five Cummins QSK60 Tier 3 engines each deliver 2,680 bhp. Paired with Twin Disc transmissions and Hamilton HT-810 Waterjets, the combination achieves a top speed of 38 kts. She is currently in service in the Persian Gulf. Provided by Twin Disc distributor Sewart Supply of Morgan City, La., the MGX-61500SC transmissions feature QuickShift technology. They instantly deliver smooth, seamless torque to the waterjets, from neutral to full ahead, the manufacturer said. And while waterjets rely on deflectors for reverse thrust, the shaft rotation can be reversed to backflush an intake screen if debris blocks its flow.